Hafiz As-Sheik Ehsan Iqbal Qadiri is a Sri Lankan and his origins hail from Gujrat, India. He received ijazah's (permission) from well-known Scholars of Bareilvi Thoughts of the Aqeedah of the Ahlus Sunnah Wal Jama'ah. He follows the Hanafi Fiqh. In promoting Islam as a religion of Love, Peace and Tolerance, he has conducted many training programs on Da'wah and Islamic teachings in English in Sri Lanka and also some special programs in Urdu and Memon languages in many parts of India, such as Gujarat, Mumbai, Goa, Chennai, Madurai, Banglore etc as well as in few parts of Japan such as Osaka, Isesaki, Kawasaki. He received the title of Hafiz by completing the memorization of the entire Holy Quran at Darul Uloom Amjadia, Karachi, Pakistan & Hafiz Ehsan Qadiri graduated from Madrasa Faiz e Raza, Colombo, Sri Lanka as a certified Aalim/ Scholar in Islamic Sciences specializing on the Hanafi Fiqh. He currently conducts regular lectures in Urdu at the SLBC (Sri Lanka broadcasting corporation) & concentrate on many other activities in Islamic Da'wah trainings as well. In 2010 He addressed University students at the Colombo University on Ethnic diversity amongst a cross culture of audiences. He was selected to speak in English at the Ahlus Sunnah wal Jama'ah conference organized by the MOI, under the title "The true message of Islam and answering the extremists" during Nov 2012 at Chennai, India. He gave a series of talks in Urdhu on the Aqeedah of Ahlus Sunnah under the banner of "Risalah" organized by SafareSunnah Mumbai 2012. He was the main speaker for the All Ceylon Ahlussunnath wal Jama aqeedha conference organized by Assunnah Trust Sri lanka in 2012, 2013 and 2014. He represented Sri Lanka at the 400th Year commemoration of the Imaam Rabbani-Mujaddid Alfi Saani held at Kannauj India, on November 2013. There were more than 25,000 participants for this event. 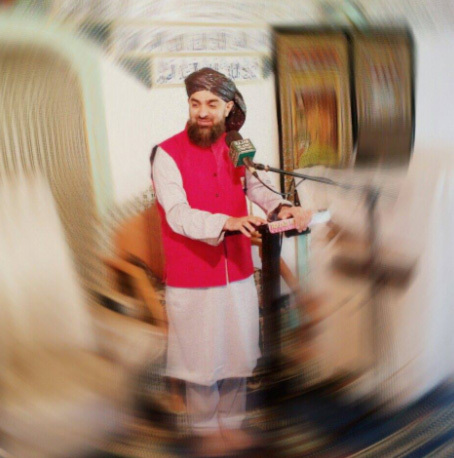 He was a Guest speaker at the Annual Convocation of Darul uloom Imam Ahmad Raza, Ratnagiri, India in 2013. He was selected to speak in English at the Pioneer conference organized by Markaz Saqafathi Sunniya, Kerala for their 35th Anniversary and 16th Convocation Conference during Jan -2013. He was yet again selected as the main guest speaker at the Risalah conference held at Mumbai 2014. He toured SouthAfrica, where he gave talks in Durban&Lodium, as well was interviewed Al Ansar Radio in 2014. He was invited to Hydrabad, for a series of talks organized by Raza Academy India in 2014. He was also invited to Lucknow by the Mureeds of Imaam Rabbani Mujaddid Alfuthani in 2014. He is currently a Teacher at the Fath'Hus Salam Arabic College on the subject on Aqeedah and Thafsir. He serves as a Katheeb at the Shaykh Usman masjid in Dewatagaha, Colombo-7. He is attached to the board of Scholars of Pearls of Madina, an Ahlus Sunnah wal Jama'ah group in UK. He serves as a board member for Ehthihad Ahlissunnath Wal Jama Association. He is a member of the Ahlussunnath wal Jama Majlisul Ulema board of Scholars in Sri Lanka. Serves as a Consultant Advisor for a Listed Investment organization in Sri Lanka. A Self-motivated individual who is an Entrepreneur himself.